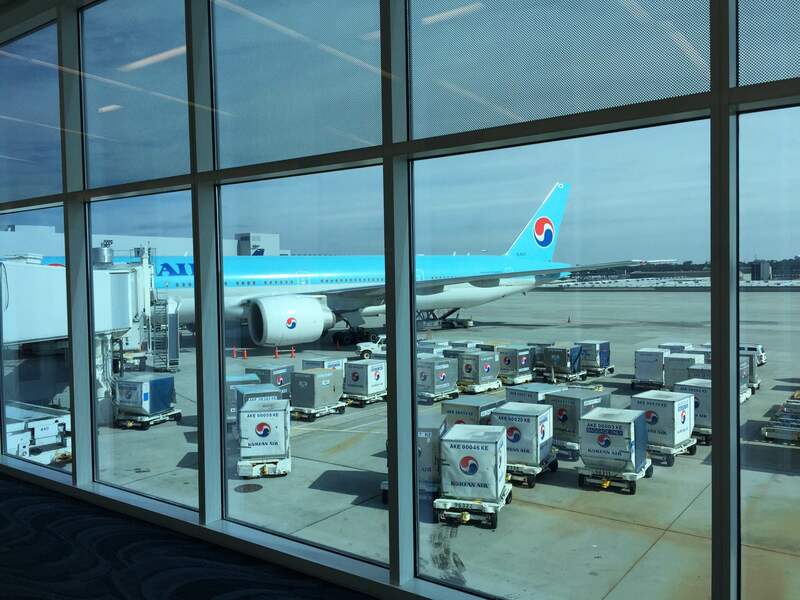 Our trip began with a direct flight from Atlanta (ATL) to Seoul, South Korea (ICN) on Korean Air. 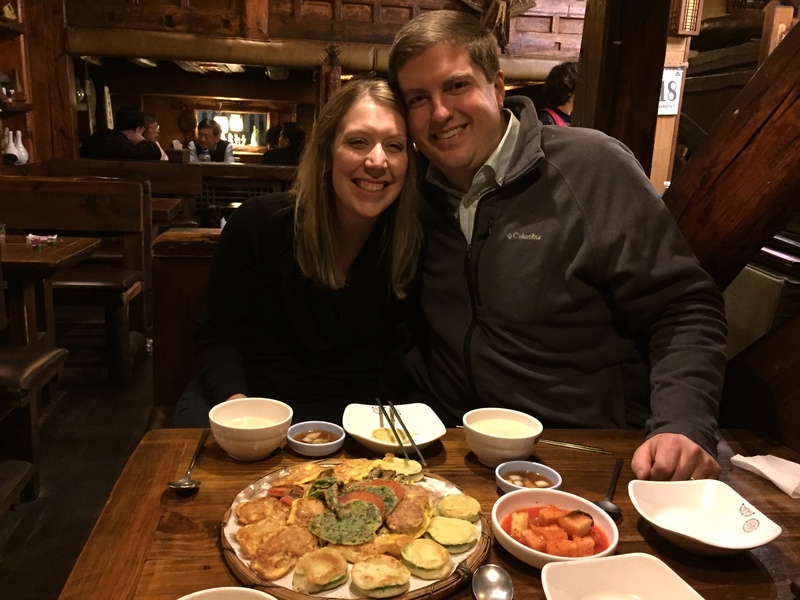 A few months prior to our trip we found an incredible roundtrip airfare from ATL-ICN-BKK on Korean Air and got another couple to book the trip with us. Overall, our flight was really pleasant with good (comparatively) food in economy. It was operated by a 777-300. Our flight was slightly delayed getting into Seoul (approximately 6 PM local time). 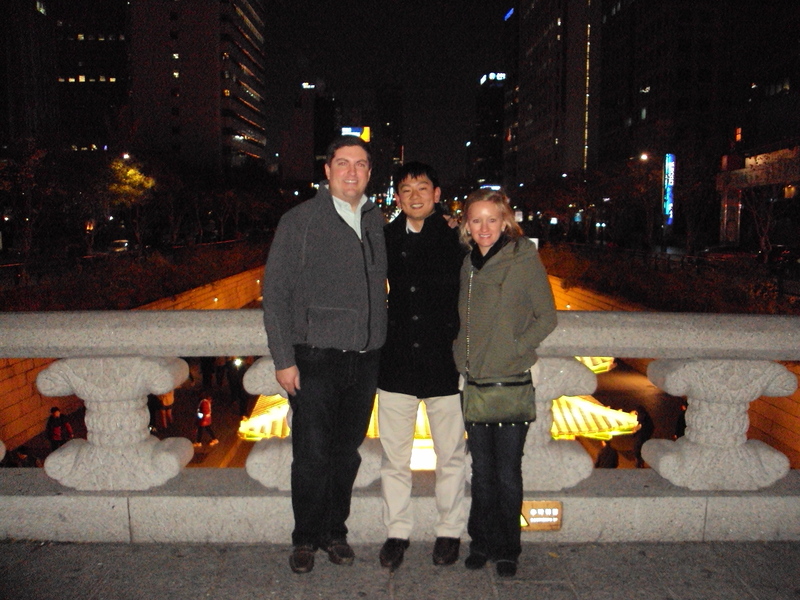 We had an overnight layover in Seoul and had arranged to meet with an old coworker. 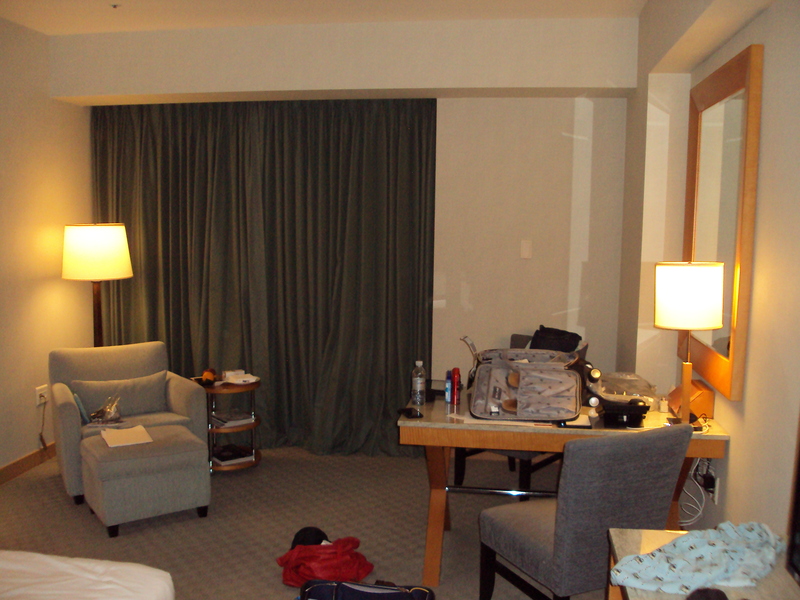 We stayed at the Grand Hyatt – Incheon which was perfectly suitable for a 1-night airport hotel. If I were going back to Seoul, I would certainly stay in the city. Myself on the left, my former coworker in the middle and one of our friends traveling with us. My wife and I having drinks in Seoul. 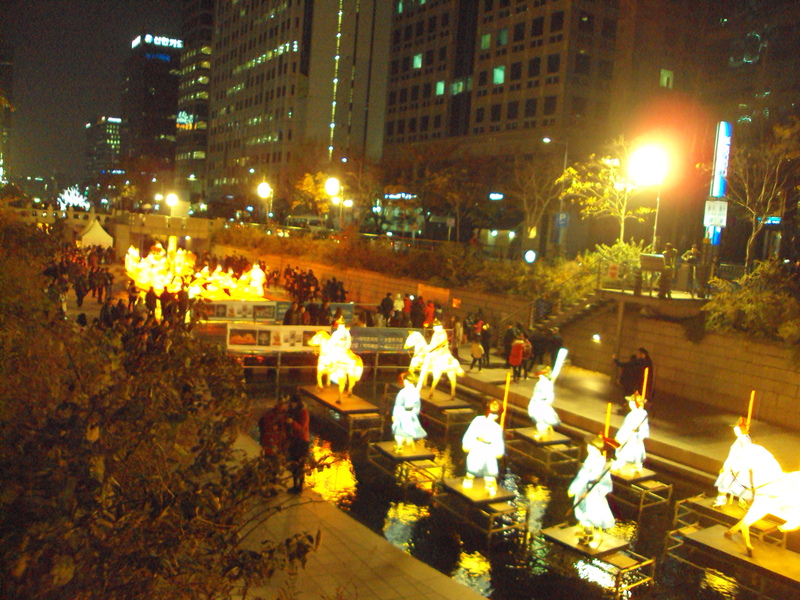 A scene in downtown Seoul. Our room at the Grand Hyatt. Our flight left around 9 AM local time the following morning for Bangkok so we didn’t stay out too late but it was great to catch up with an old friend in Seoul. We will have to go back to Seoul in future, certainly much more to see! Stay tuned for the next installments…..